Dye vibrant colors and use in other shoes. Grabbing a packet or two of brightly colored fabric dye is a great idea for making some hot colors for your kids shoes. Colored laces that are mismatched are often popular with kids. Instead of throwing them away, simply dye them a fun new color and use them in other shoes! Upcycle for sewing projects. 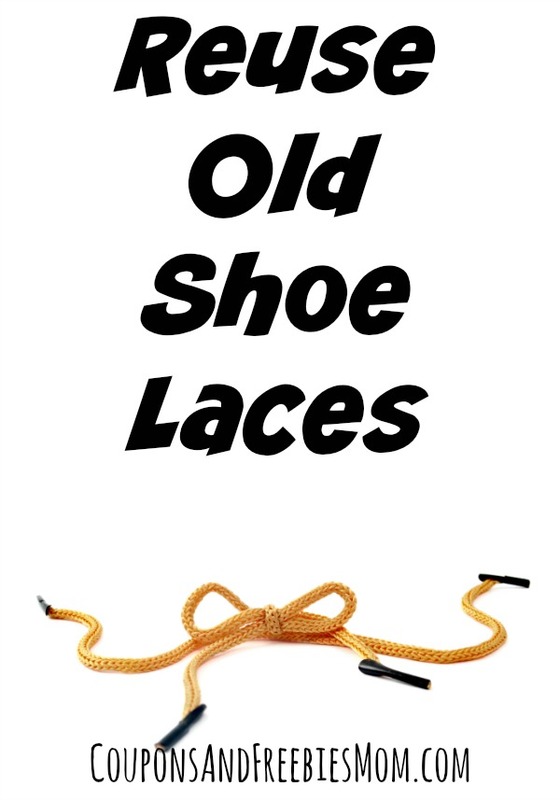 Shoe laces make great drawstrings in waists of homemade skirts or pants. Typically the shorter ones are great for younger kids or doll clothing, but you may find longer ones work well for adult clothing as well. Use as a bow on a gift. Use some of the brightly dyed shoe laces to tie around special gifts and make a fun colorful bow. Use in garden to tie branches to trellis. When you have a small garden you know that items like tomatoes and beans often need to be tied to a stake, cage or trellis to keep from falling over. You can easily reuse old shoe laces in your garden every year. This is a fun no fuss and free way to keep your garden in check. Use in sensory crafts and manipulatives. If your kids are working on lacing projects when they are younger, or even stringing buttons or beads onto something out of their sensory bin old shoe laces are perfect. You can create your own fun bin of items to string for them to sort by shapes or colors and use shoe laces as the free string. For every little item in your home you might usually throw away, there is a fun free solution that will help you to recycle them to be budget friendly. Reuse old shoe laces for all kinds of fun and needed projects in your home. I have not thought about all these ideas before. Thank you! We use old shoe laces in craft projects.